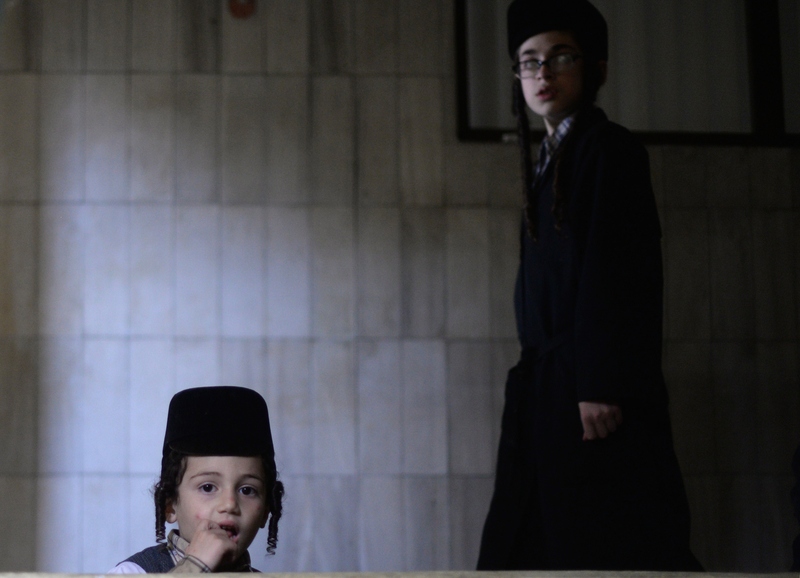 Children members of an ultra-Orthodox Jewish group remain at the building where the group will stay in Guatemala City on September 2, 2014. Two hundred and thirty ultra-Orthodox Jews were expelled from the town of San Juan La Laguna by Mayan indigenous leaders. By Johan Ordonez/AFP/Getty Images. More details on the controversial Orthodox group here.